GtrOblq represents a confluence of forces within the world of avant guitar and experimental string music. From the wreckage of the Kronosonic movement, GtrOblq aims to focus the popular imagination upon the obscure universe of creative sound production, recording, and performance. The artists profiled at GtrOblq are among the finest composers, improvisers, loopers, microtonalists, noisicians, soundscapers, sound designers, fretless guitarists, and synthetic guitar wranglers. 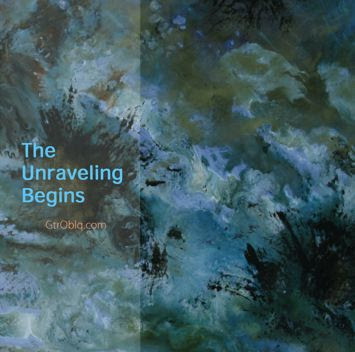 "The Unraveling Begins" is a seminal compilation produced by fourteen of these varied, talented artists. Shane's track, Bimbo Spam, is a collaboration with Aliensporebomb, who contributed all the bass tracks and a few guitars bits too. Preview it on myspace.